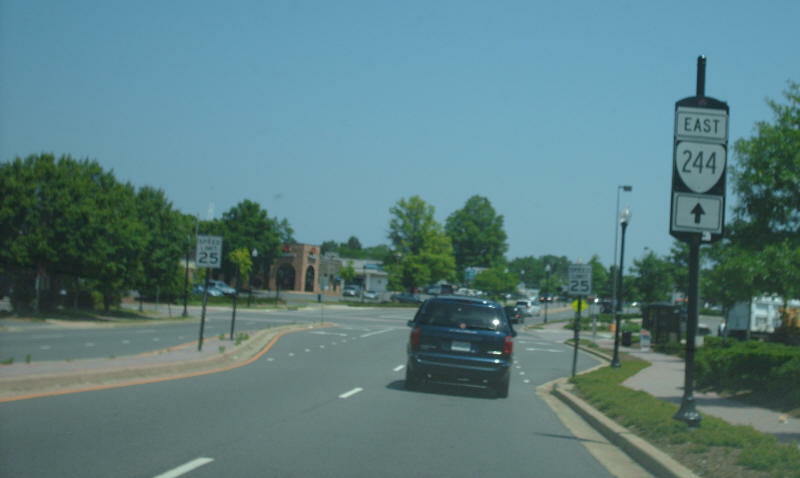 From VA 236 eastbound at the marked turn for VA 244 which is 1/4 mile east of actual VA 244 which is one-way westbound at VA 236. Photo by Mapmikey, taken May 24, 2007. 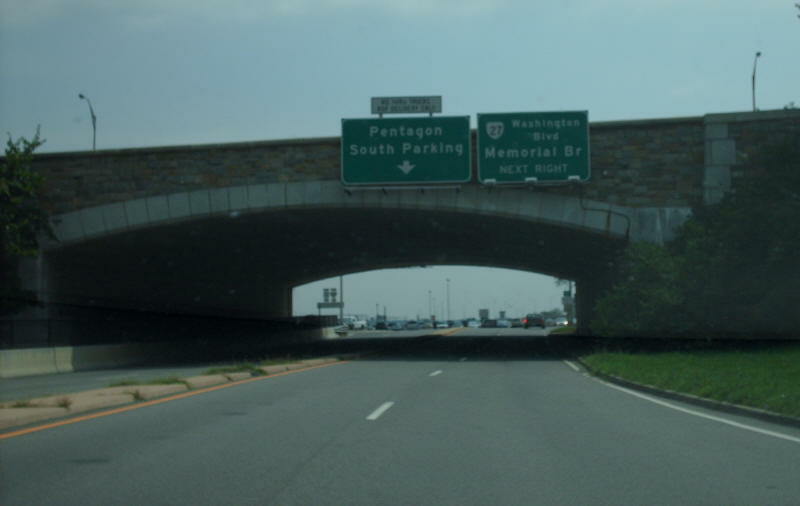 The VA 244 connector leaving VA 236. Annandale had several of these ornate postings. Photo by Mapmikey, taken May 24, 2007. 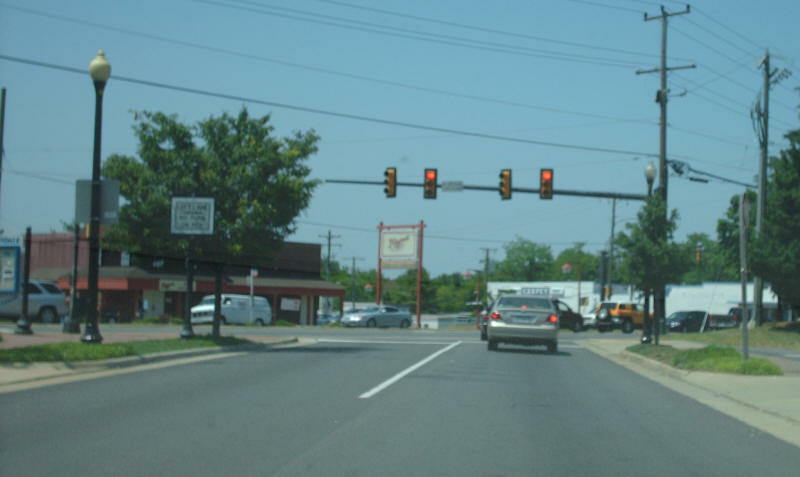 This is VA 244 westbound at VA 236. Photo by Mapmikey, taken May 24, 2007. 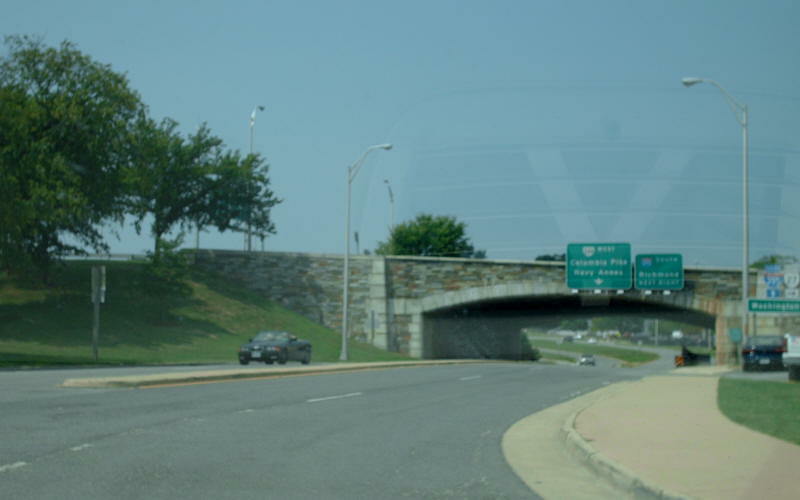 VA 244 arriving at VA 27 and a parking area for the Pentagon. Photo by Mapmikey, taken August 30, 2007. Heading the other direction approaching VA 27-244. Photo by Mapmikey, taken August 30, 2007.